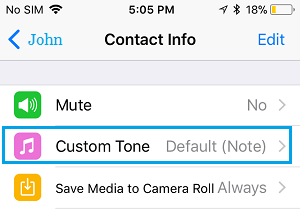 You should now be able to change the ringtone to the new one by going to Settings –> Sounds –> Ringtone or use it also as a Alert tone for a New Mail or as the Text Tone by going to Settings -> New Mail -> Ringtone. The new ringtone should show up under “Ringtones”. Tap on it to set it as your default ringtone or alert tone for a specific notification. I have the same question as OP, but am unclear on one thing. In the Do Not Disturb settings (iOS 10 now) there are just two options for Silence: [Always] and [Only while iPhone is locked]. The notifications sounds for most things on your iPhone can be modified, including the notification sound for calendar events on your iPhone. Our tutorial below will show you the steps that you need to take in order to start using a different sound for upcoming calendar events.